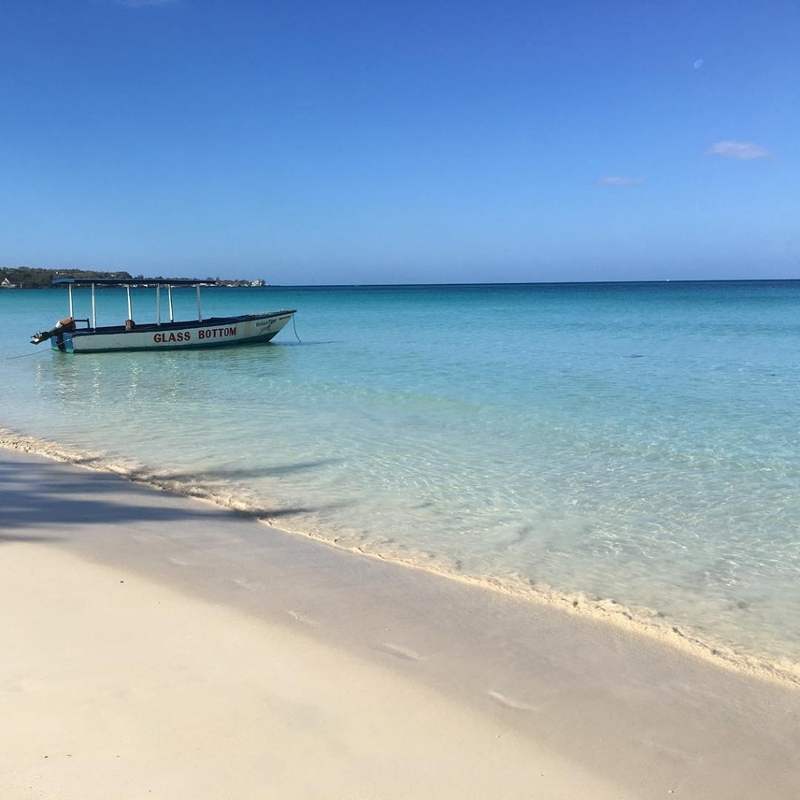 If you don't already know, let me be the first to tell you that Negril has some of the most beautiful beaches in the world. 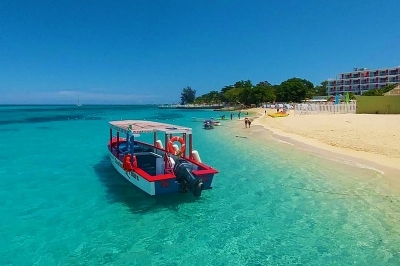 To be fair, there are beautiful beaches all over Jamaica. 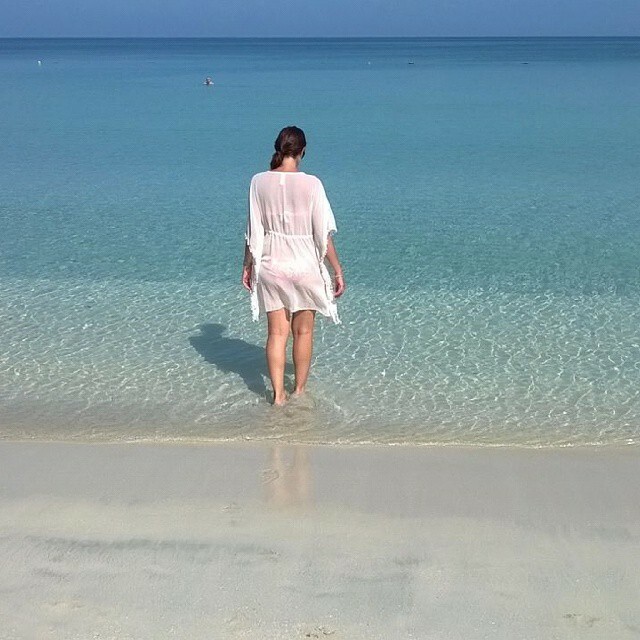 So you can argue that there are many other beaches on the island that are just as nice. 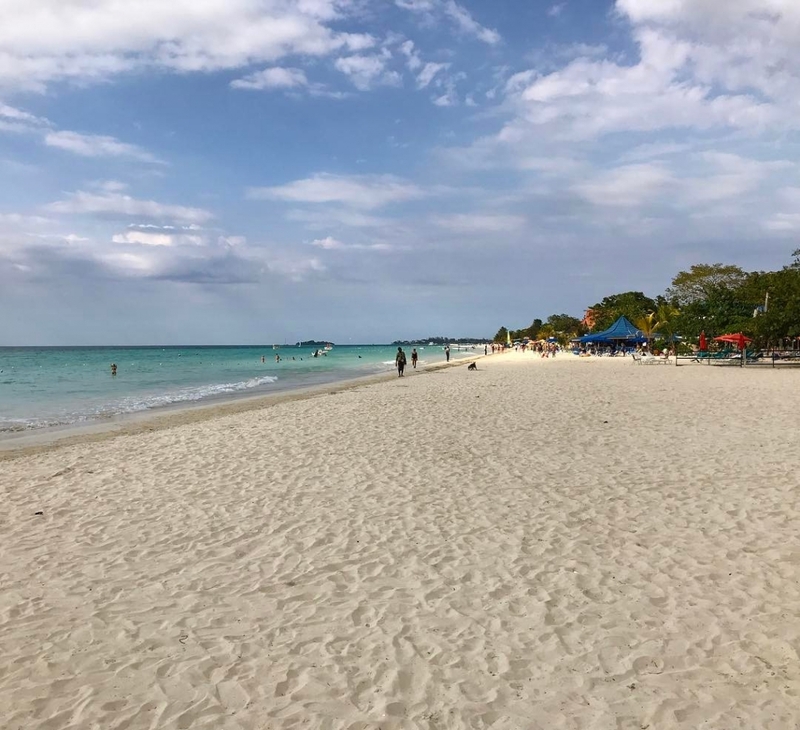 But from my experience, which holds a lot of weight seeing that I have a doctorate in beach-bumming, Negril definitely has top-tier, first-class, A+ beaches. 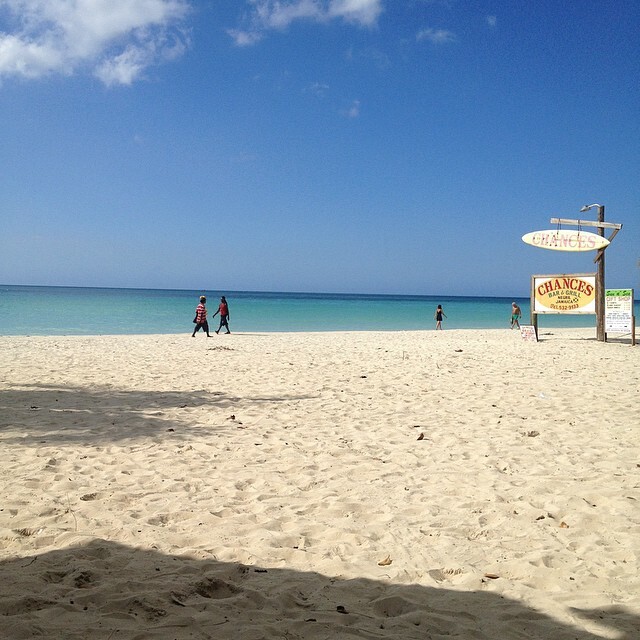 There are 2 sides to Negril. One side has the world famous 7-mile-beach and the other is mainly made up of cliffs like you'll find at Rick's Cafe. If you're one of those people, like a very good friend of mine, that don't like the feeling of sand between your toes, then stick to the cliffs. 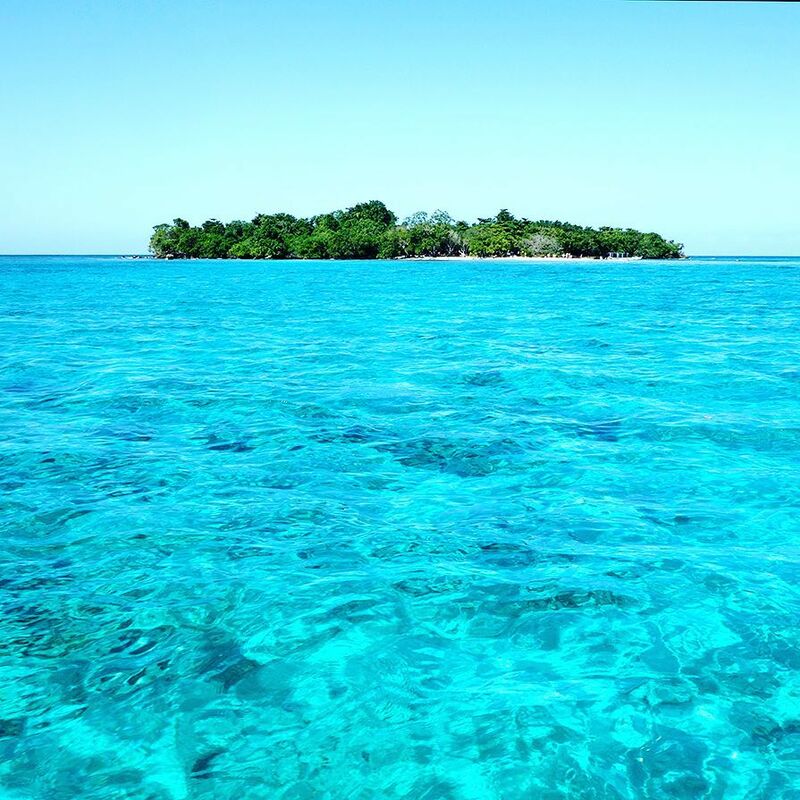 You'll get a chance to enjoy swimming in the warmth of the amazingly clear Caribbean Sea without having to worry about the sand. 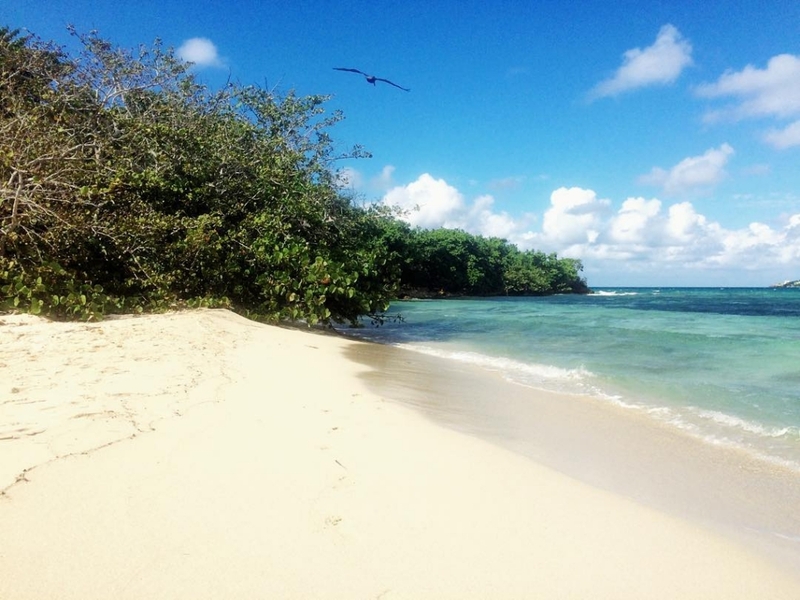 But if you're a beach bum like I am, you'll definitely enjoy laying out on the perfectly soft white sands of the 7-mile-beach. But with 7 whole miles, where do you start? 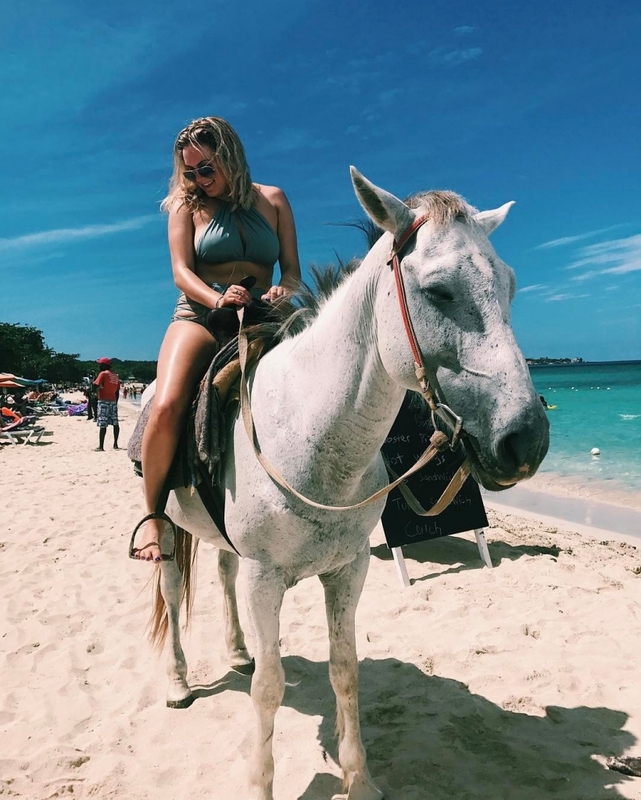 Below, I'll share some of the best spots that I've found (bars, restaurants, etc…) that are situated right on the 7-mile-beach, and give you direct access to the water. 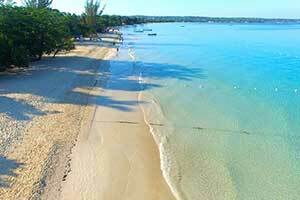 Bloody Bay Beach is a public beach that is located on the north side of Negril's 7-mile-beach. If you're driving along Norman Manley Blvd., look out for a small side road that's right beside Breezes Grand Resort and Spa. Follow that road all the way to the sand. Legend has it that this beach was named after a particularly bloody pirate battle that took place here hundreds of years ago. 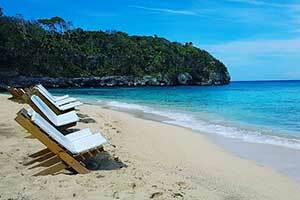 It's a beautiful beach with perfectly soft white sand and very gentle tides. The gentle tides is a result of a coral reef not too far from shore. 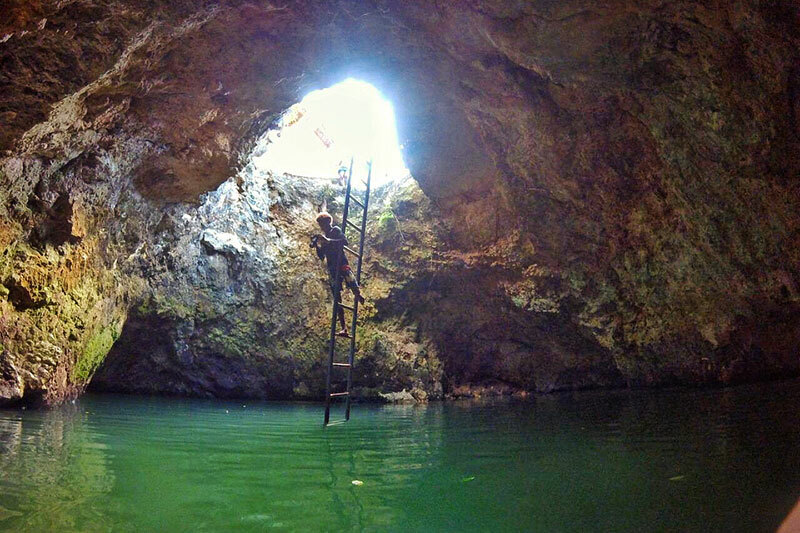 So if you have snorkel gear, be sure to bring them. There's a local restaurant and bar on the beach so you won't have a problem getting lunch if you plan on spending the day there. But keep in mind that this is a public beach so there's no bathroom. If you need one though, you might be able to sweet talk one of the security guards at the hotel to letting you in to use theirs. 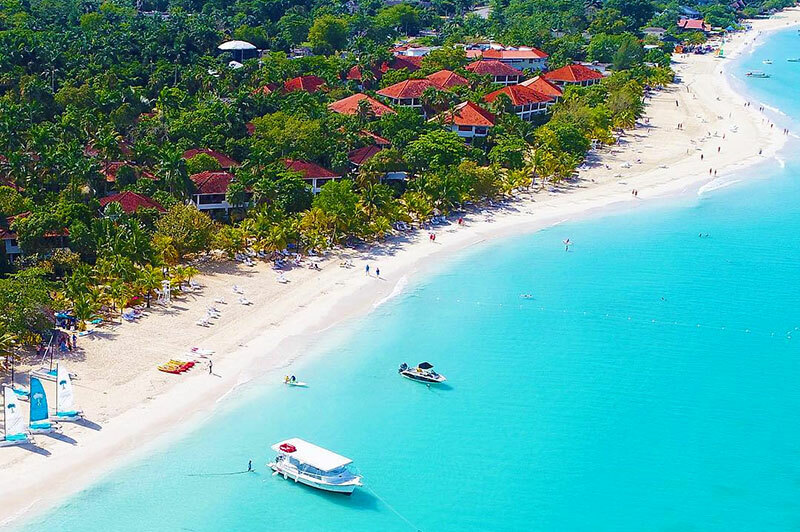 Booby Cay is actually a very small island not too far off the coast of Negril. 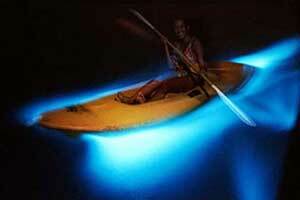 It's not directly on the 7-mile-beach but it's close enough and worth mentioning. It was named after the booby bird, which is a type of seabird that comes to the island yearly to breed and lay their eggs. 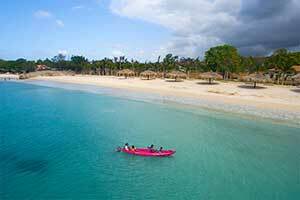 To get there, head over to the seven-mile-beach and there will be boat taxis that will take you over for a small fee. Some locals just swim over but I don't recommend you try it. The beach and water is pretty decent but to be honest, the main attraction is the snorkeling. 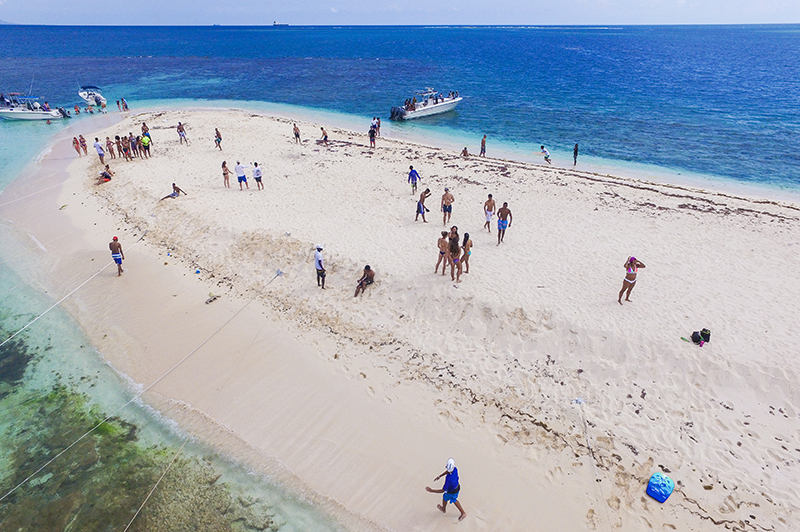 There's a beautiful coral reef around the island that will keep you occupied for hours. There are vendors around so you can get drinks and food. There are no kitchens though so expect your fish or lobster to be cooked over an open fire. Also, keep in mind that this is a public place so there aren't any bathrooms or changing rooms. 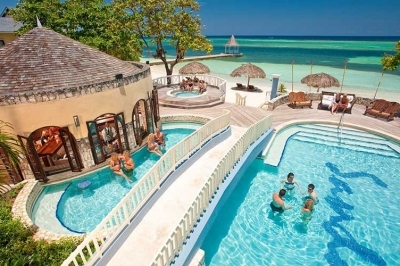 Margaritaville in Negril is a restaurant and bar located directly on the 7-mile-beach. You don't have to ask if the beach is nice. 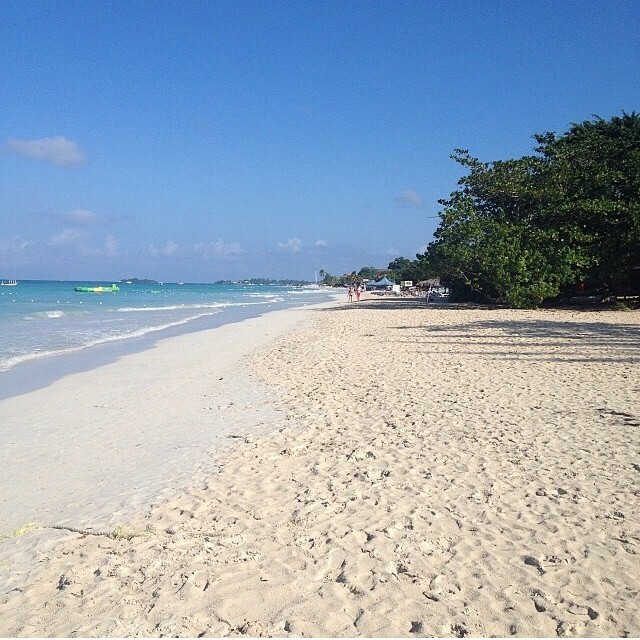 Everything on this stretch in Negril is just about perfect. Here you'll find a great mix of entertainment and activities that will please everyone in your family, no matter their age. 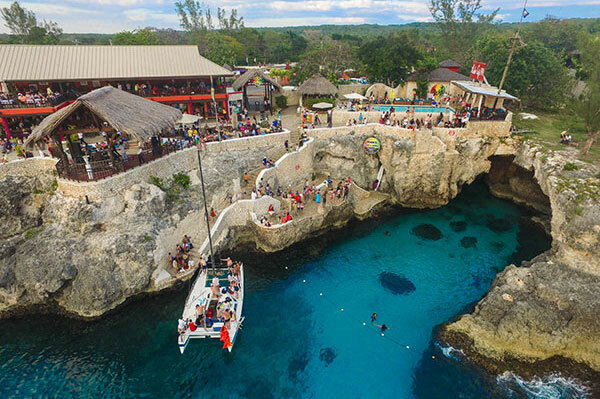 They have 2 huge water-trampolines, rock-climbing wall, tiki beach bars, beach cabanas and open-air dining. The burgers and other menu items are excellent and the all-day reggae music creates the perfect island vibe. The bathrooms and facilities are great but if I had to find a complaint, it would be the prices. Everything here is overpriced but with the amenities, convenience, and service, it just might be worth it. Chances Bar & Grill is known in Negril for having the best Jerk chicken & lobster Pizza. But be warned. Don't wait til you're starving to order. Expect to go there, order a cold beer and hang out on the beach for a while waiting for your pizza. But the wait will be well worth it. Sunday evenings are especially good here. They have a great live Jazz band that plays. 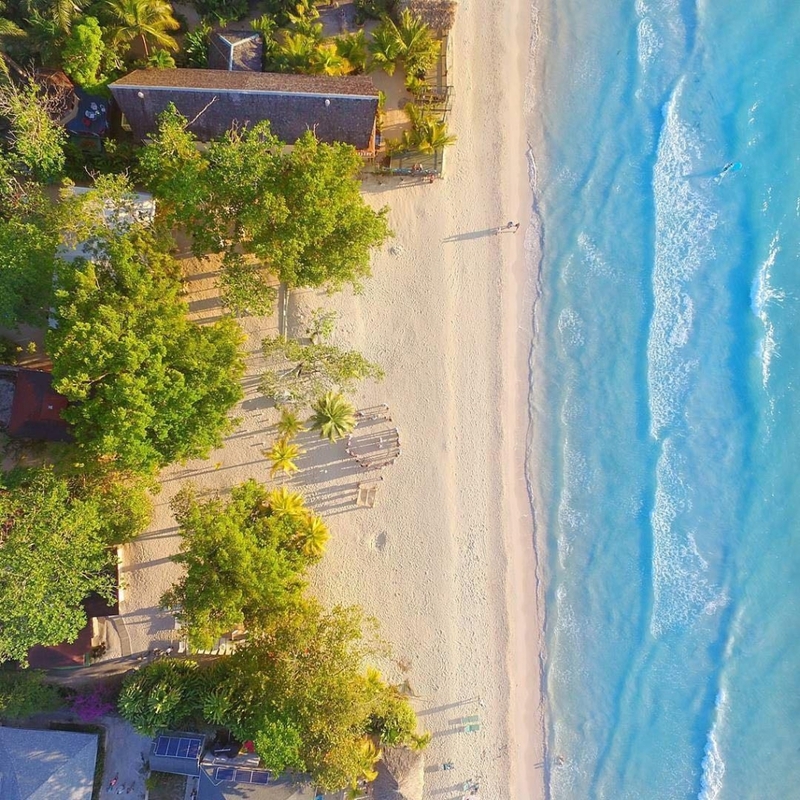 Spend an evening relaxing on Negril's beautiful beach in one of their lounge chairs and watch the sunset with a cold Red Stripe in your hand as you wait for your mouthwatering pizza. Bourbon Beach is a great place to spend a day on the beach. They have comfortable lounge chairs, and the food at the restaurant is great! But they are well known for the live bands that play there in the evenings. 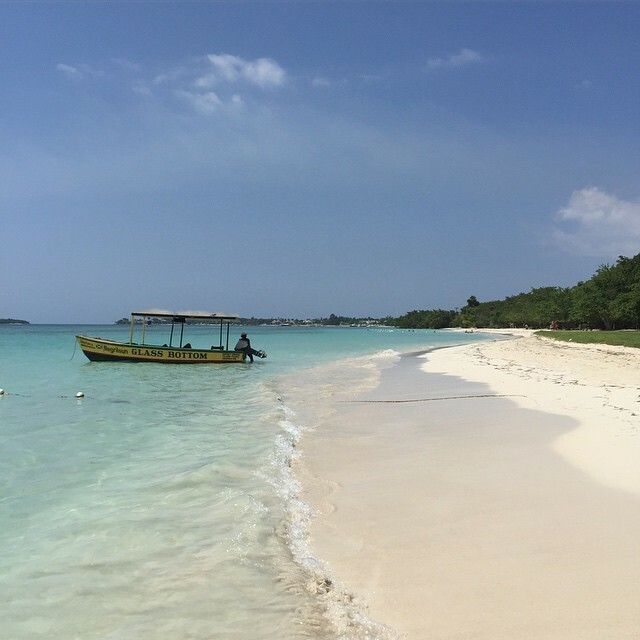 If you want a night of dancing on a beautiful Jamaican beach with a mixed crowd of locals and visitors, this is your place. There's no charge to get in and the drinks are reasonably priced. You can expect to pay about $3 for a beer. What could be better than working up a light sweat dancing in the cool night air to some nice, clean, live Jamaican music? 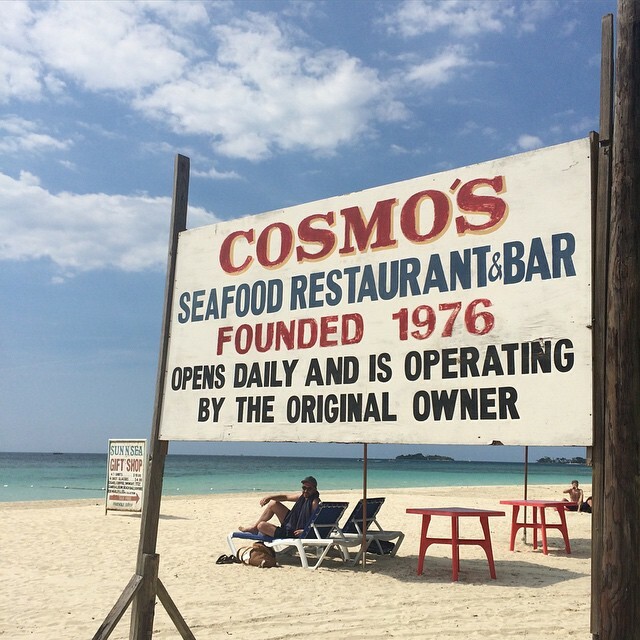 Cosmo's Seafood Restaurant & Bar is located at the northern part of Negril's seven-mile beach. The restaurant is situated right by the entrance to the Long Bay Beach Park, which is just below the Couples All-Inclusive Resort. 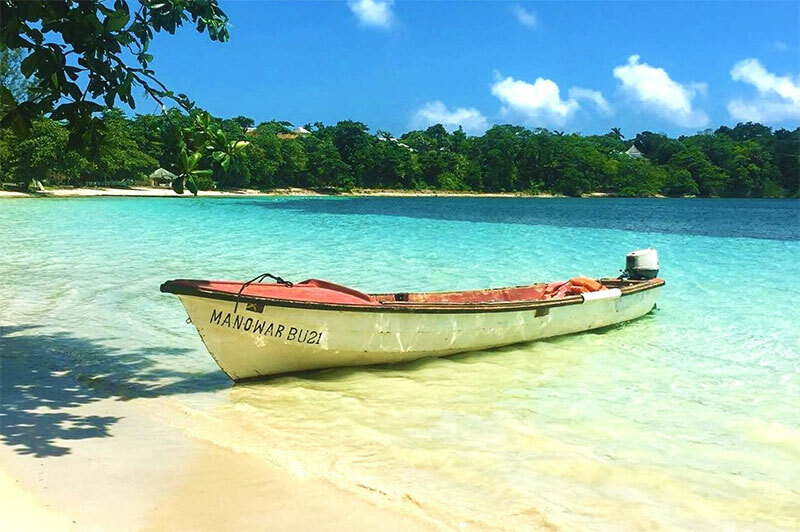 They specialize in authentic Jamaican seafood dishes, that are made with freshly caught seafood daily. If you're just going to eat at the restaurant, there's no need to pay the entry fee. But if you plan on using the beach, there's a small entry fee. This is the type of place that you go to for lunch, then take an afternoon dip. When you start to get too hot, you grab a lounge chair and cool off under the almond & seagrape trees. When the sun starts to go down, put in your dinner order with a side of freshly squeezed lemonade. It will be a day well spent. If you've been to any of the places above, please share your thoughts below. We'd really appreciate it. 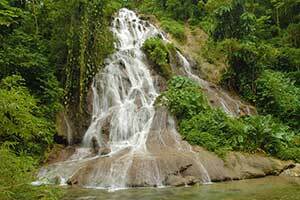 And if you've been somewhere in Negril that you think deserves to be on this list, please let us know.